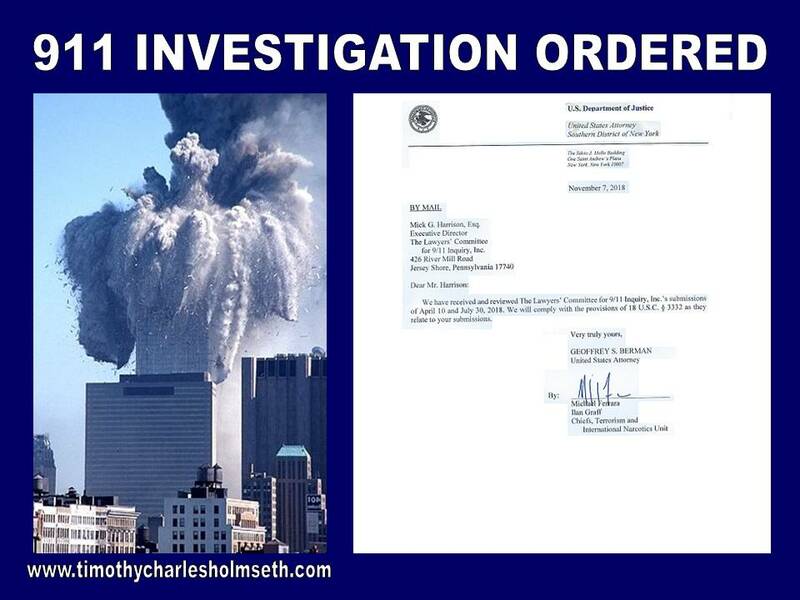 The true facts and circumstances surrounding the attack on the United States that occurred September 11, 2001 are going to be officially investigated in accordance with federal law. We have received and reviewed The Lawyers’ Committee for 911 Inquiry Inc.’s submissions of April 10 and July 30, 2018. We will comply with the provisions of 18 U.S.C. 3332 as they relate to your submissions. The website for The Lawyers’ Committee for 911 Inquiry Inc. appears to be overloaded at the time of this publication and could not be accessed. 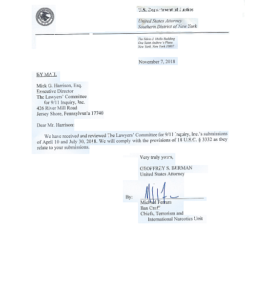 However, before the site went down I obtained an image of the U.S. Attorney’s letter.